Did you know that the CIA once made use of a “spy cat”, or that, although delicious, eating the flesh of an armadillo can give you leprosy? And what about Terry, the small black Cairn Terrier from Kansas who was paid today’s equivalent of $2,000 a week for her work in The Wizard of Oz? 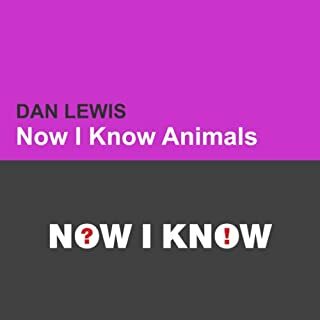 Even if you think you have a handle on all things trivia, you're guaranteed a big surprise with Now I Know: Animals. Did you know that San Diego’s Frozen Zoo is home to preserved DNA samples from over 8,000 endangered or threatened species, or that the tell-tale smell of freshly mowed grass is actually the plant’s version of a distress call? And what about Henrietta Lacks, the “immortal woman” whose cancer cells have been divided and multiplied for research purposes for over 60 years? 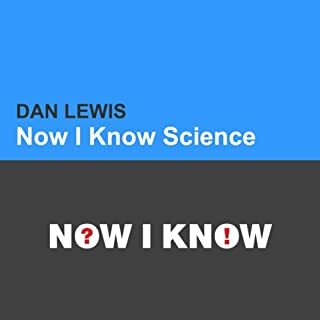 Even if you think you have a handle on all things trivia, you're guaranteed a big surprise with Now I Know: Science. Did you know that Silly Putty is a by-product of World War II-era rubber rationing, or that the Anglo-Swedish War resulted in exactly zero direct deaths? And about the Richmond Golf Club, who posted an addendum to the official rules in case a round of golf was interrupted by a round of bombs dropped by the Nazi Luftwaffe? Now I Know: Military is the ultimate challenge for any know-it-all who thinks they have nothing left to learn about the military. Did you know that tug of war was once an Olympic Sport, or that President Teddy Roosevelt demanded that actions be taken to turn football into a more gentlemanly pastime? And what about Eddie Gaedel, the 3’7" pinch hitter for the St. Louis Browns who was nearly impossible to strike out? Even if you think you have a handle on all things trivia, you're guaranteed a big surprise with Now I Know: Sports. 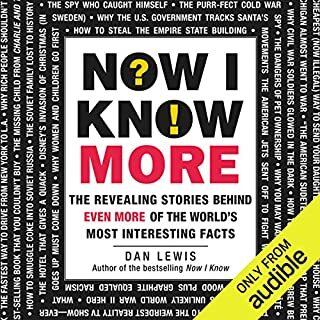 This special collection from the Now I Know archives will challenge your knowledge of the fascinating stories behind the world's greatest facts. Did you know that there are actually 27 letters in the alphabet, or that the U.S. had a plan to invade Canada? And what actually happened to the flags left on the moon? Even if you think you have a handle on all things trivia, you're guaranteed a big surprise with Now I Know. From uncovering what happens to lost luggage to New York City's plan to crack down on crime by banning pinball, this book will challenge your knowledge of the fascinating stories behind the world's greatest facts. Did you know that the Sentinelese people of the Indian Ocean’s North Sentinel Island are the most isolated people in the world, or that Kentucky Bend is a section of Kentucky that is totally cut off from the rest of the state? And what about pirate radio broadcaster Major Paddy Roy Bates, who occupied a British sea fort and eventually declared its sovereignty? 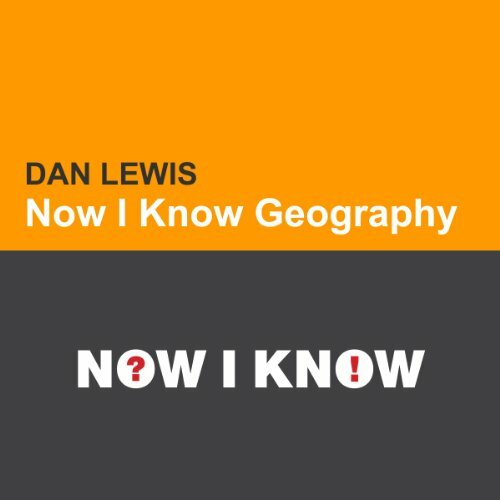 Even if you think you have a handle on all things trivia, you're guaranteed a big surprise with Now I Know: Geography. 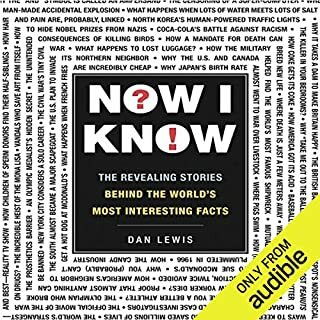 This special collection from the Now I Know archives will challenge your knowledge of the fascinating stories behind the world's greatest facts. Now I Know: Geography is the ultimate challenge for any know-it-all who thinks they have nothing left to learn about geography. Want to learn more outrageous facts? Check out the full length Now I Know audiobook covering 100 gems of knowledge. ©2013 Dan Lewis (P)2013 Audible, Inc.